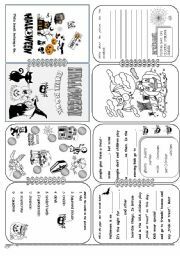 This book(fully editable) is suitable for Ss after one year of studying. Your Ss can revise their knowledge about themselves. The book contains the basic vocabulary and grammar (can, have got, there is, like...)Tecus, thanks for the pictures. Have a nice Thursday! 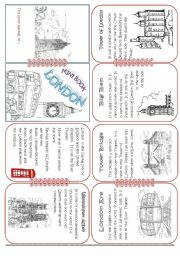 I prepared this (fully editable) mini book for my eleven-year-olds (in their second year of learning). It contains not the basic vocab. 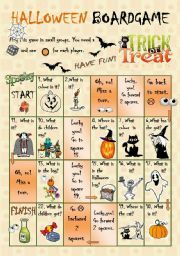 but some more difficult ones, a short and easy gap-fill about Halloween and a basic picture description task. I hope you like it. Have a nice Thursday! :))Template is from Dedicated Teacher. Thank you! 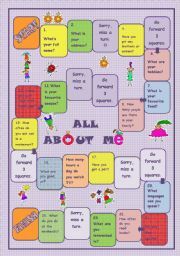 With this game you can make your Ss talk about themselves. They have to answer some easy questions. 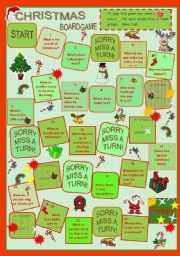 This activity can be used for a quick warming up, for revising or just for fun. 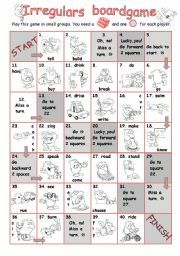 Have fun and make your Ss practise irregular verbs. This board game consits a bit more difficult verbs than my other Bg. Thank you for downloading it. Have fun with this boardgame. Ss have to answer some easy questions. 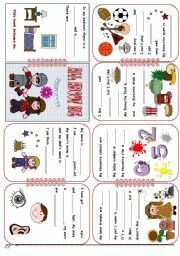 This activity can be used for a quick warming up, for revising the basic vocab. or just for fun. On the first page there is a pictionary. 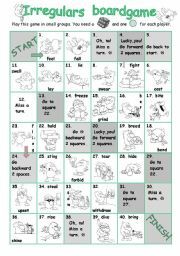 On the second there are some easy, student-friendly :)) exercises. B&W version is included on the third and fourth pages. Enjoy and have a nice day! 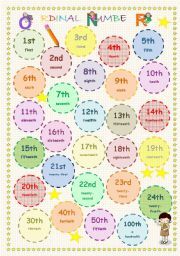 Have fun with this cute boardgame. You can use the questions in it for quizzes, games too. Thanks for your comments in advance. Make verbs out of the slips. Ss have to find 8 verbs in connection with daily routine. Click on the slips and the solutions will appear. A quick warmer. Who were these people? Click on the photo if your SS do not know. Then match the names with the �professions� and make sentences.